A goal two minutes from time gave Glenafton a deserved three points against a disjointed Bankies side badly missing the link up play of Nicky Little. Leon Murphy lobbed the ball over Marc Waters as the visitors had looked the more likely to win the game with the same player wasting a one on one and Dan Orsi Rattling a piledrive off the crossbar only minutes before the decisive goal was scored. The result had consequences in the league table meaning the club dropped from 2nd to 6th place with half of these sides also having games in hand. It was a game of few chances, and had the Bankies taken theirs when they had dominance in the first twenty minutes it may have been a different story. Sean Higgins was the most culpable as he wasted two great chances. The first was a cross from the right wing by Jordan Shelvey. The cross bypassed everyone except Higgins at the backpost but he somehow let the ball rebound off his shin when it looked a certain goal. The second opportunity came when a fine passing move saw the Bankies attacker clear on goal around 12 yards out, but rather than shoot he tried to be too clever by cutting the ball back across the box, but he found a Glenafton defender who easily cleared. Higgins was more useful in his midfield role as he flicked a deft through ball beyond the away defence and found Jordan Shelvey who attempted a shot on the run. Unfortunately, he couldn’t wrap his foot around the ball properly and sent his shot wide. The Bankies may have had more of the ball at this stage, but it was Glenafton who produced the move of the match, and were only prevented from taking the lead due to a truly world class save by Waters. The ball was dinked into the box, and Andrews cleverly headed it back to the edge of the box where Dallas sent in a tremendous volley. It looked a goal all the way as it headed towards the top corner until Waters spectacularly threw himself to his right and touched it over the bar. The opening goal of the match came after 28 minutes. It was caused by the Clydebank midfield dithering and not being decisive enough in taking the play forward. A feature that would plague the performance of the home side for the rest of the match. Glenafton quickly took possession and raced forward with Dale Moore supplying the finish with a super top corner strike. The momentum shifted after the goal and the Bankies were always second best afterwards. Possession remained mainly with Glenafton up to the break, and they continued in the same vein after the restart. However, the Bankies remarkably got back on level terms. Andy Paterson got to the byeline and sent in a quite brilliant cross that was met by Jordan Shelvey from close in. McGarrity made a superb point blank save, but only succeeded in giving the ball back to shelvey who headed home at the second attempt. 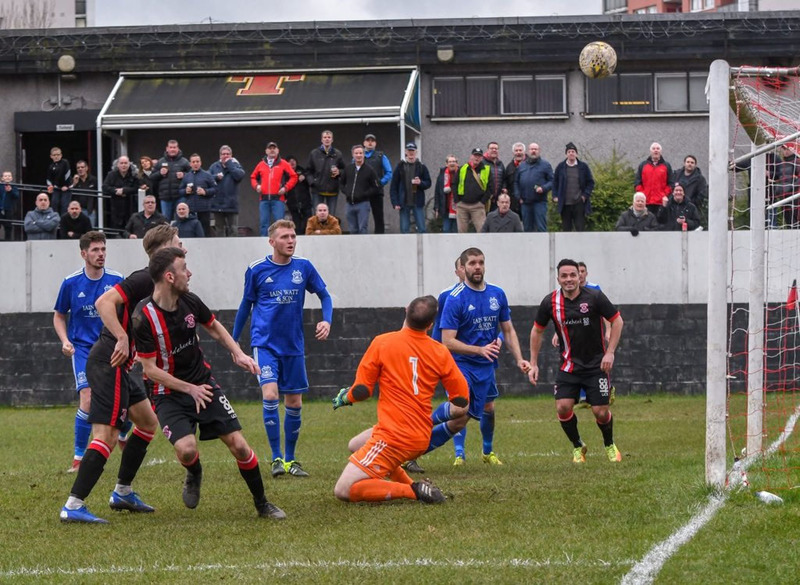 The goal did nothing to alleviate Clydebank’s issue of retaining possession. The problem only deteriorated as the game progressed. The amount of times the ball was given away by acting either too hurriedly or too slowly was quite incredible. 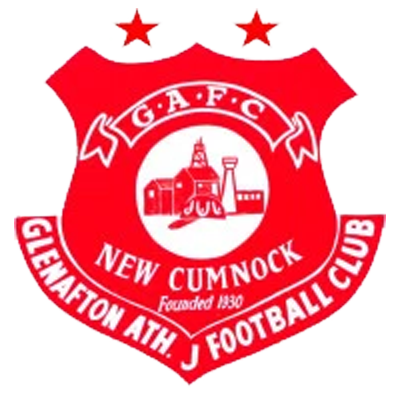 This allowed Glenafton to mount attack after attack, however the Bankies were defending reasonably well and the visitors were not particularly threatening. It just looked that if a winner was going to be scored it wasn’t Clydebank who were going to get it. It was notable that as the game entered the final stages that more chances were forthcoming for Glenafton. I was starting to think we were going to escape with a draw when Glenafton passed up two late chances. Firstly, when a chipped through ball caught Duncanson on the wrong side of Murphy leaving him with only Waters to beat. Fortunately, he rattled his shot off of the keeper’s legs. Barely a few minutes later Orsi picked up the ball around 25 yards out on the right hand side. He sent in an unstoppable shot that Waters hardly moved for, but the crossbar came to the Bankies rescue. The Bankies finally caved with just two minutes remaining. A similar move down the left wing saw Murphy run clear, and this time he made no mistake by lifting the ball over Water’s head an into the net for the winning goal which was no more than Glenafton deserved. It can be quite challenging being a Clydebank supporter and today was one of those days. After a bright start, the players lost their way after falling behind. There was hardly a cohesive move made in the second half. Too many aimless passes without any thought. Either they couldn’t get rid of the ball quick enough or being indecisive and holding on to it too long. Hurlford will severely punish us next week in the Scottish Cup if we play like that. 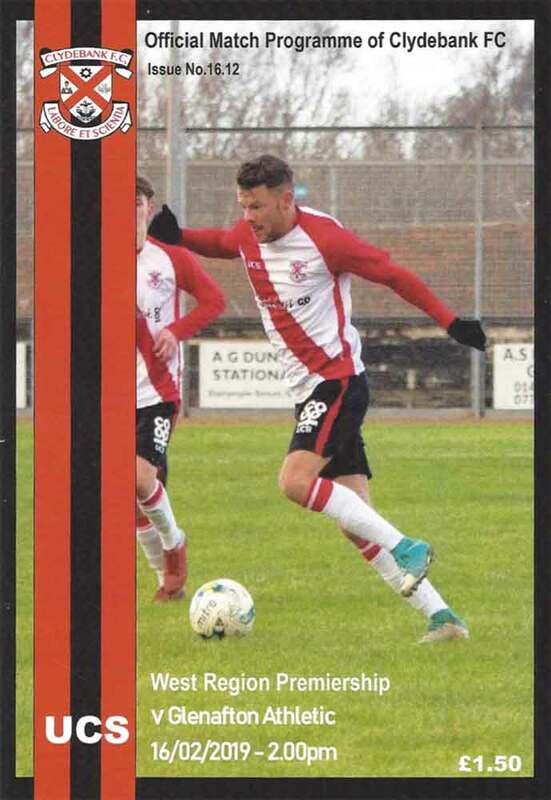 Nicky Little will return and that should help but undoubtedly the Bankies will need to up their game if they are to progress to the semi final. It should hopefully be a great occasion for the club as we seek to reach the last four of the Scottish Cup since 2010. The benefits for the club are potentially huge and the Clydebank support need to be the extra man. Seats are available on the bus to Hurlford so text or call Fred on 07890410606 to reserve a place.